Newtown is the cultural and fashion hub of Johannesburg and is one of those places in the city that have been revitalised and re-branded in the city. 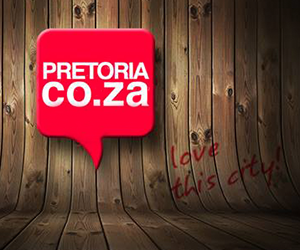 With attractions like SAB World of Beer and The Market Theatre, the suburb is always abuzz with energy. No other place epitomises this vibe more than Work Shop New Town. If you’re all about supporting local brands, then Work shop New Town is for you. This 1000 square meter development offers retail space and lifestyle services. The best part is, the focus is mainly on local brands! Yep, you can find a multitude of South African brands here from designers like MaXhosa by Laduma. Even DJ Zinhle’s Era By DJ Zinhle store is located in this space. The space itself was curated by Trevyn and Julian McGowan (of Southern Guild), a husband and wife designing team who have been transforming South African design spaces for over a decade. Southern Guild is a platform that showcases the best of South African design from the most respected designers and artists in the country. They exhibit locally and all around the world. Trevyn and Julian have successfully sold their designs at Art Basel in Miami. So Work Shop is not only a treat in terms of retail, but also in design aesthetic. The dynamic hub that is Work Shop offers the best in South African street wear, fashion, African collectables, arts and crafts, beauty, skincare, accessories, coffee, decor and much more! You’ll always be spoilt for choice! It has the feel of a market but with the added advantage of being open throughout the week. The variety in terms of fashion is also a plus. You’ll find everything from vintage clothing to African print clothes, shoes and accessories. Many of the brands are fashion week regulars so the public can often get a sneak peek as to what’s next for each designer. It’s the place to go if you’re into unique fashion, design and craft pieces for your closet and home decor. Some of the items are a bit pricey, but well worth the money. Make sure you add Work Shop New Town to your list of places to explore in Joburg. And The Sandton City Summer Sale Is Finally Here!